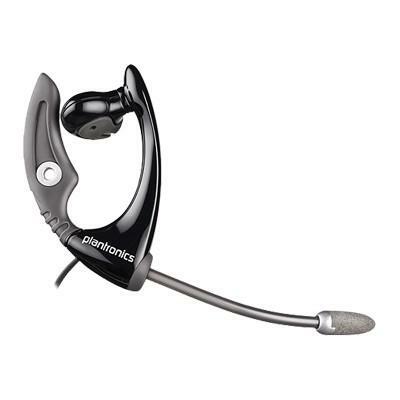 Plantronics 68982-11 Mx 500c -..
You will appreciate the secure fit and conveniently located 1-touch listen/speak volume control and mute when juggling multiple tasks at home. Enjoy the lasting comfort of the Flex Grip design. It lets you hear clearly with WindSmart microphone designed to reduce fast motion or backyard wind noise. It is compatible with headset-ready cordless phones and most mobile phones. MX500C Features: Comfortable Flex Grip EarpieceIn the Ear HeadsetSingle EarpieceAdjustable Boom Works For Either Ear Convenient In-Line Volume / Mute Control WindSmart Technology For Crisp & Clear Sound Reduces Whistles & Static in Windy EnvironmentsInterchangeable Voice Tubes Custom Wearing StyleStandard 2.5mm Headset Plug Works w/ Most Phones, Perfect for Cordless & Mobile Phones"